NEW FLAVOR! What if we told you, you could cheese up your life without using cheese? 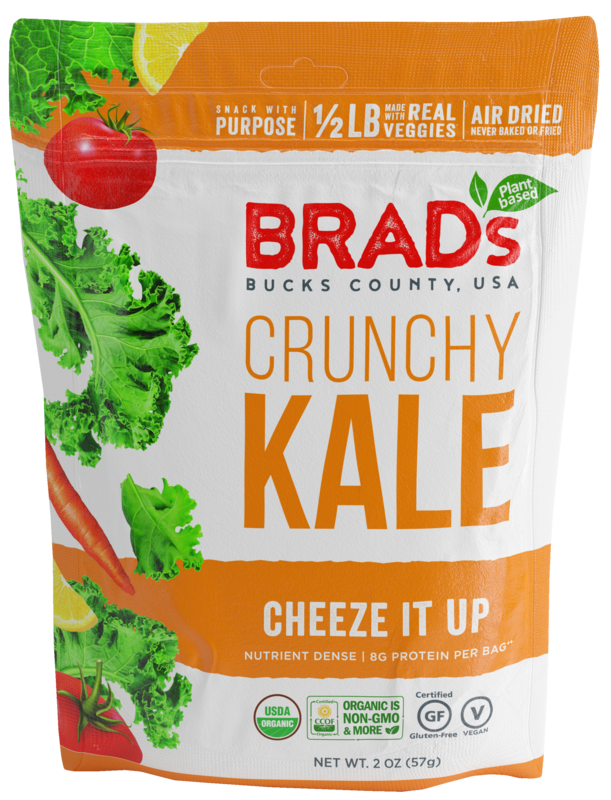 Our full-flavored kale chips use nutritional yeast a substitute and provide. If you’re wondering what makes this yeast so “nutritional”, it has a ton of B vitamins doing work and protein, so you’re still getting what you need and more. 2 items on the “I’m doing such a great job at staying healthy” checklist, but does it have to stop there? Does it ever with Brad’s? Our products are made to ensure that you are getting everything you can and more from a chip. It’s time to leave the empty calories behind. Let your food be your revival. You deserve it. Don’t just snack—Snack with purpose.